Shout! 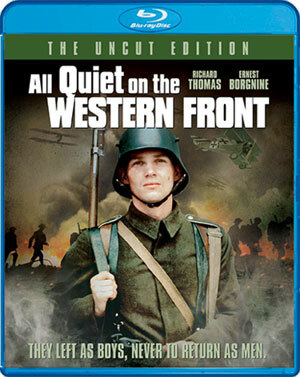 Factory has added the 1979 adaptation of Erich Maria Remarque’s All Quiet On The Western Front to its title roster for release on Blu-Ray Disc in July. At the rise of World War I, German patriot Paul Baumer (Richard Thomas) and his friends enlist in the Imperial German Army. In search of adventure and eager to assert the superiority of their nation, the young men endure a brutal training camp and soon find themselves face to face with the full horrors of war when they are sent to the front lines to fight… and likely die. As the conflict rages, Paul grows from an eager boy to a disillusioned man who bears the scars of war on both his body and his soul. Ernest Borgnine, Donald Pleasence, Ian Holm and Patricia Neal also star in a gripping coming-of-age tale set in the shadow of war. 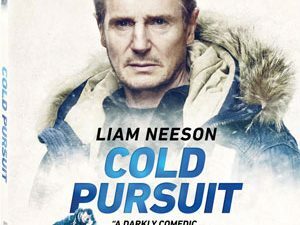 The release will also contain the movie’s Theatrical Trailer. “All Quiet On The Western Front” will be in stores on July 19 for $22.97.